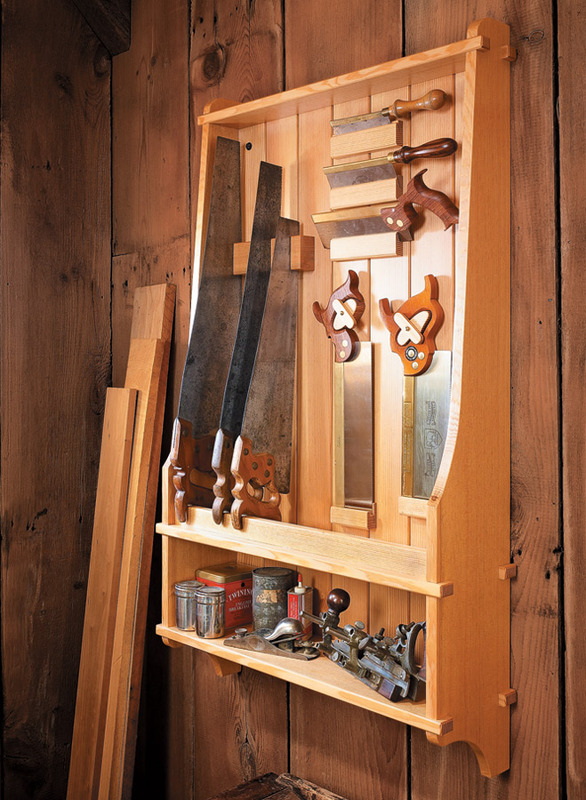 The large, upper section provides a safe, convenient resting place for large and small handsaws. 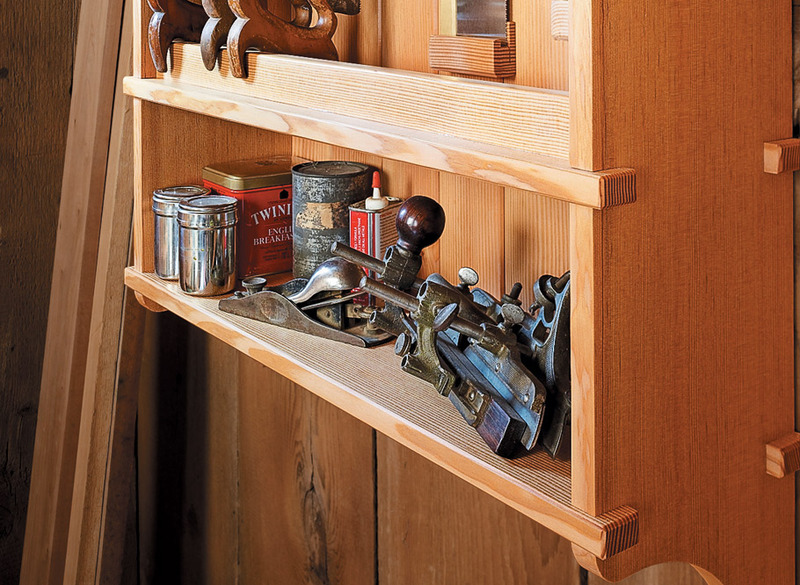 The shelf below can be used to store some of your most used hand tools. Two design features stand out. 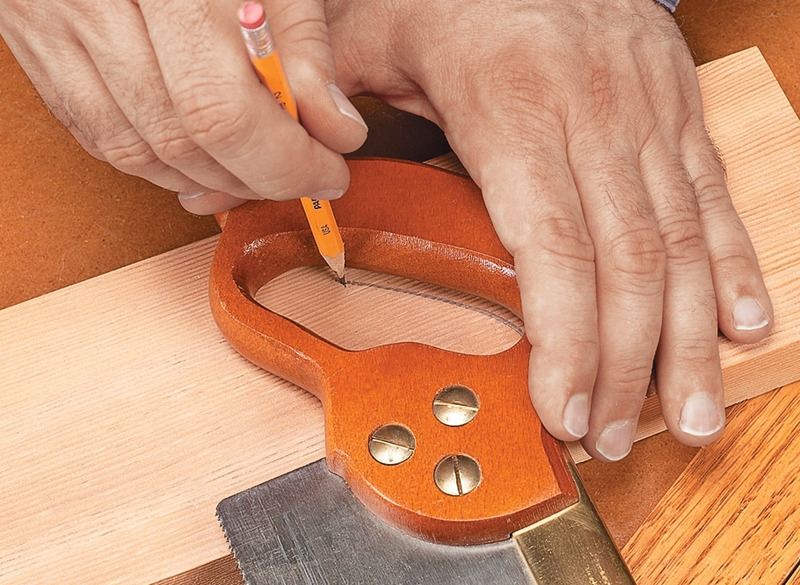 The first is the contour of the sides that mimics the taper of a large crosscut or rip saw. As well as being decorative, this lightens the case and makes it easily accessible. 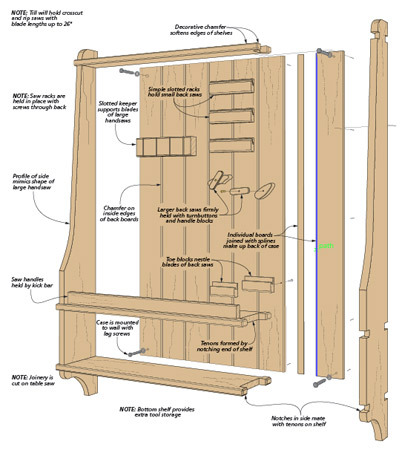 Then there’s the unique “notch and tenon” joinery used to assemble the case sides and shelves. 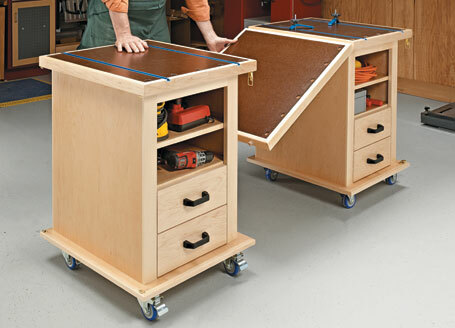 You’ll find that making this joint is an interesting challenge and results in an extremely rigid case. 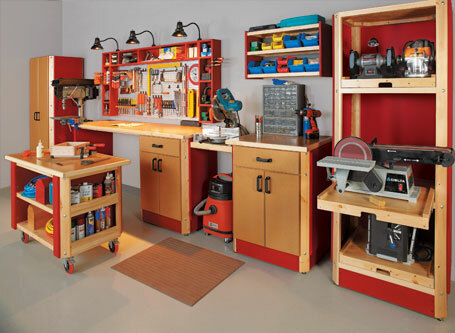 In the end, you’ll have a very handy project that showcases both your craftsmanship and some of the tools you use to make it happen. 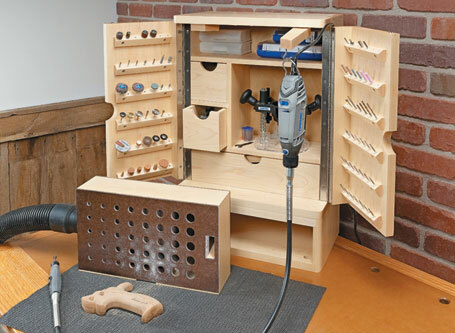 With basic materials and hardware, you can create a low-cost, custom shop storage system.